Disk backup sets are a better choice for RDX drives than removable backup sets, and Retrospect 11.5 for Windows updated the "Can create Removable Backup Sets" option to unchecked. If you still use your RDX drive as a removable backup set, follow the instructions below to re-enable this option. 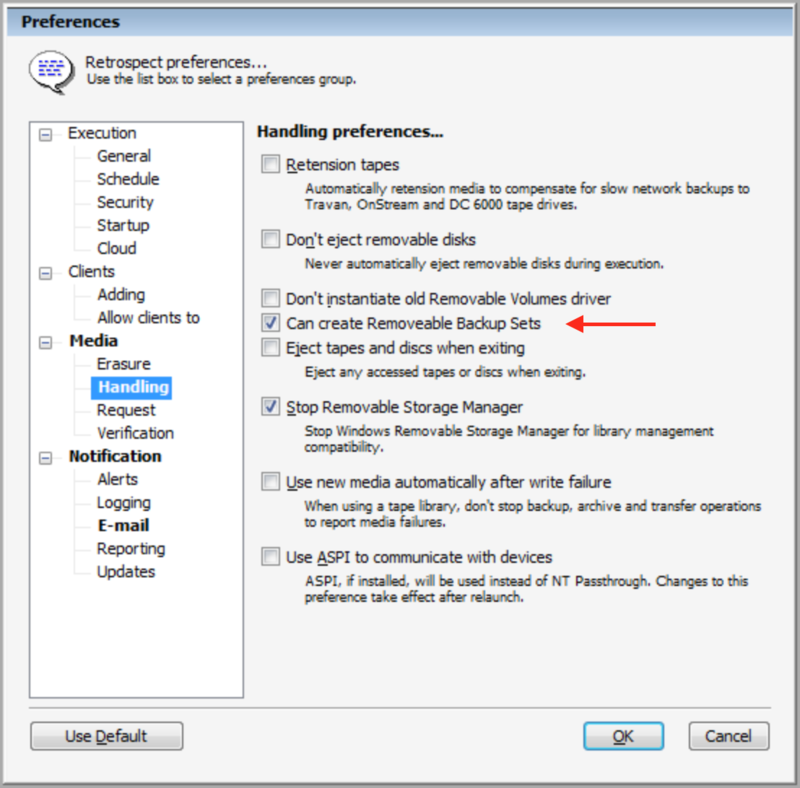 Under "Media > Handling", turn on "Can create Removable Backup Sets".